Creativity is fairly hard to come by when you are surrounded by brown, faux-wood walls and everyone simply slaves away in their respected rooms. Company culture is a key factor when it comes to retaining some of the best and brightest employees, so why do many companies throw this incredible need on their "backburner?" 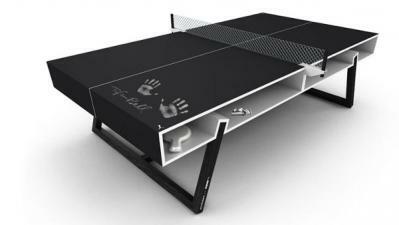 Well, maybe something like this chalk board table tennis table will give your culture the shot of speed it so desires. Warning, 4k isn't cheap for anything; however, can you really put a price on creativity? I mean, come'on!